So you’re thinking about bringing a Bichon Frise into your family? If so, then congratulations! To help you move the process along, we’ve sought out some of the best dog food brands for this breed on the market today. Feeding your dog nutritional food is important—so let’s get down to business! 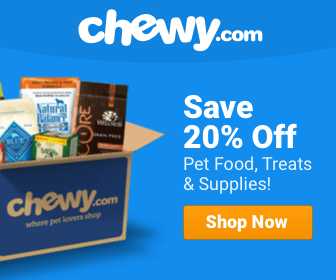 **Below, you'll find our expert's recommendations, but you can also click the links above to see current prices or read customer reviews on Chewy. The very earliest records of this loving and affectionate dog breed date back to the 14th century. With their fluffy hair and small bodies, they’ve become a favorite among dog owners in all walks of life. Because of their looks, they’re often mistaken for poodles—which is definitely not the case. Bichons are actually related to the Maltese, the Havanese, and the Coton de Tulear. They seem to have originated along the Mediterranean, and were actually very popular in royal courts during the reign of King Henry the third. In fact, it’s said that the King himself loved his Bichons so much that he carried them with him in a basket wherever he went! Full-grown Bichons will live to be anywhere from 12 to 15 years of age, will grow to be 9 to 11 inches tall (at the shoulder), and will end up weighing in at anywhere from 7 to 12 pounds. This breed loves to play, and you’ll find that they tend to be full of energy—which means that feeding them enough to keep them going is very important! A less active dog of this breed will need about 330 calories per day to keep his or her energy up. 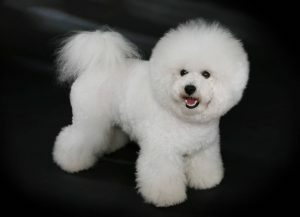 Likewise, a moderately-active Bichon will need about 415 calories. If your dog tends to be very active, then you might need to increase the daily caloric intake to somewhere between 450 and 850 calories—though exactly how much you feed should be adjusted to meet the specific needs of your pet. Of course, some dogs simply eat more than others—so try to feed enough calories without overfeeding. This video, created by Animal Planet, discusses some excellent and essential information about the breed. If you’re wondering whether or not a Bichon Frise is the right canine choice for you, or are interested in learning more about the care and maintenance of this lovable breed, then I would definitely recommend that you give it a watch. Bichons tend to be pretty healthy and sturdy animals. In fact, some of them even live into their late teenage years! But despite their hardiness, they can be prone to some unfortunate illnesses and conditions. Here are some of the more common ailments that can arise within the breed. This is a genetic deformity of the hip that can cause pain and lameness in one or both of the rear legs. It can also lead to arthritis for the dog later on in life. You should always make sure that both of the dog’s parents have tested negative for the condition before adopting a Bichon, as this can rule out the possibility that your dog will end up dealing with it. A quality diet that’s rich in protein, fat, and carbohydrates can serve as a good starting point in helping to either prevent or reduce the likelihood of the disease. To find out more about Hip Dysplasia in canines, you should check out this article by whole-dog-journal.com. This is a condition in which the kneecap suddenly gets ‘knocked out of place’. It often seems to happen out of nowhere, and generally affects the rear legs. Sometimes, the dog will limp and act as if it’s in pain when it occurs—and then go right back to normal in almost no-time, when the knee cap slides back in. This condition can definitely cause your pet some serious pain, and it should not be overlooked. One of the best things that you can do for your dog to help prevent this from happening is to help him/her maintain a proper, healthy body weight. For more information on the condition, take a look at this article. This condition causes the head of the thigh bone to shrink. The first symptom will usually be limping, but pain and possible problems with arthritis in the future are both unfortunately common with the disease—which tends to affect smaller dogs the worst. A natural, raw-food diet can help play a supporting role in the treatment of the disease. Here are a few other health problems that could possibly manifest themselves in your pet over the course of his or her lifetime. You can also find a wealth of information on the health and well-being of this breed on this website. Bichon Frise puppies won’t generally begin the weaning process until around the time they’re 6 weeks old, so you’ll want to wait until then to introduce solid food. By the time the pups are 8 weeks old, they’ll be ready for adoption into their new homes. At this point, they’ll weigh somewhere around 4.5 pounds, and will be needing somewhere between 200 and 250 calories per day to keep their energy up. This is also about the time that they’ll be getting their first vaccination shots. If you’re worried about not knowing exactly how much to feed your Bichon, remember that it’ll depend mostly on his or her individual weight and activity level. You’ll definitely get a feeling for what each pup needs as you feed them and care for them. At around the one-year mark, it’ll be time to switch your dog to adult dog food. 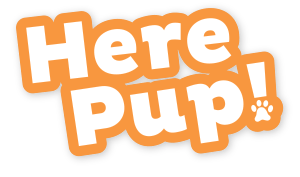 Up until this point, it’s recommended that you feed a puppy formula for the extra nutrition. It’s extremely important to feed your dog well. The generic, cheap dog food that’s available at the local grocery store just isn’t going to provide the nutrients that your pet will need to stay healthy, happy, and nourished throughout his or her lifetime. For this reason, we’ve looked further than that and scoured the internet for the absolute best foods for this breed—and have concluded, hands-down, that Solid Gold Just a Wee Bit Small Breed Formula, is one of the best foods that you could possibly feed your Bichon Frise. Solid Gold combines wholesome ingredients with a nutritionally complete and balanced formula. It’s specifically formulated for the metabolic needs of small dogs, and is capable of sustaining the kind of energy levels that Bichons Frises exhibit on a daily basis. It contains no wheat, corn, soybeans, or by-products, and is also preservative and sugar-free! Ingredients include meats like Bison and Salmon meal, as well as staples like brown rice, cracked pearled barley, flaxseed oil, garlic, and rice bran. If you’re looking for a holistic dog food choice that’s gotten rave reviews from other Bichon owners, then you’ll definitely be interested in looking at this one. Here are the basic pros and cons that we’ve discovered while researching this dog food brand. If you’re looking for a dog food brand that’ll give your Bichon a great start to a healthy, happy life, then we cannot recommend Solid Gold Just a Wee Bit Small Breed Formula – Bison enough. This dog food choice gets a huge ‘thumbs up’ from us, especially if you’re looking for a natural, holistic feeding option for your canine companion.